The top goals of L&D professionals include ensuring that training content is not old or outdated, teams collaborate effectively, and learners stay engaged in their courses before, during, and after the training program. However, learning managers face a range of issues in achieving those goals. How can they be overcome? Here is how SharePoint workflows and version control features can help you address these challenges successfully. Explore how SharePoint’s workflow and versioning capabilities offer in the face of L&D challenges. With SharePoint’s site templates, you will be able to create your SharePoint training development sub-sites with predefined workflows and versioning settings, so everyone associated with authoring, editing, and approval will collaborate on producing course documents. Which materials do I need for this course? How do I notify my community of interest? How do I gather feedback from the course audience? The template workflows will also remind you of everything else you need to plan and prepare a training course. SharePoint version control is useful for repeated training, especially when you need to find the exact version of a document among a number of slightly different course versions. In addition, SharePoint workflows and versioning deliver value for training in highly regulated companies at which control over the material development and approval process is especially important. Version control means you will know which version of your course material was presented last, and you have direct access to that material. When your training content team updates this set of materials, SharePoint assigns a new version number, keeping things orderly. If you need to return to a prior version, you can do so easily. Refreshing existing courses or creating new ones means collaboration and document management. SharePoint provides comprehensive collaboration and document management capabilities integrated with workflows and version control. Rather than relying on multiple copies of documents, and external, insecure instant messaging and screen-sharing technology, SharePoint integrates these capabilities as a secure, efficient, and effective training content development platform. SharePoint allows you to create a separate workflow for each type of document in your training content. For example, you can develop separate creation and review workflows for written content, PowerPoint presentations, and media files. Building review workflows based on document types means you can specify extra review cycles for regulated content. If you used file storage or shared disk for your course material, your content would live separately from its metadata or information about which courses the content supports, which categories of learner should receive it, and similar related information. Instead, SharePoint offers Compliance Collaboration that permanently links your content to its metadata. Important information about the content’s course affinity and routing stays with your content. 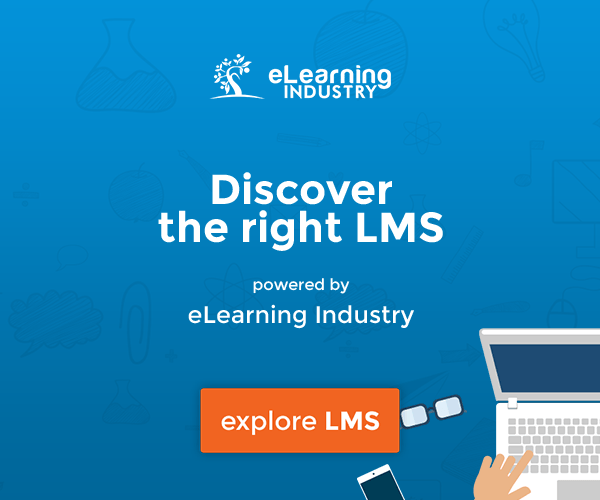 An added benefit for learning managers in highly regulated industries is that you have a durable and reliable content update lineage. This reduces reporting challenges during a course audit. These are a few of the ways that SharePoint workflows and versioning make your life in learning management easier. 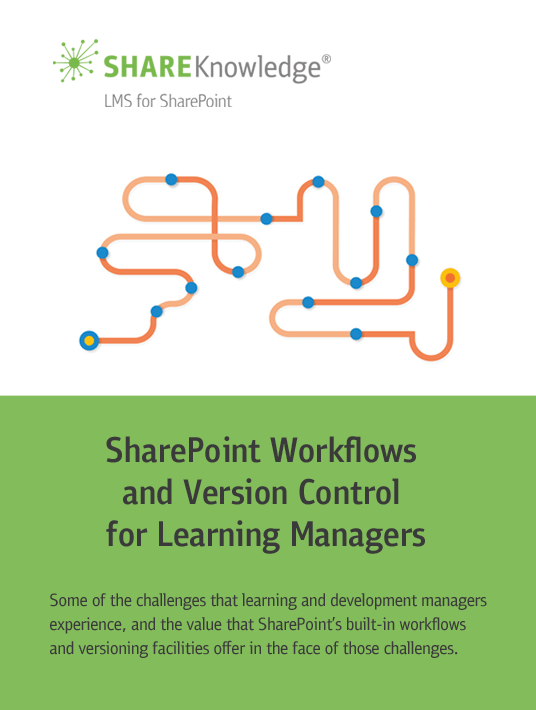 For more on workflows and version control, download the free eBook SharePoint Workflows And Version Control For Learning Managers.